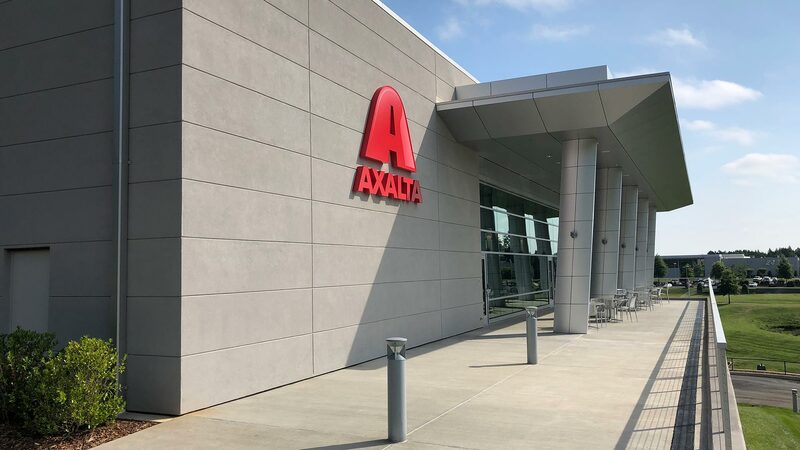 With a 23 year sponsorship of Jeff Gordon’s #24 car, both Axalta and Hendrick Motorsports sought to personify their relationship with a new building on the HMS campus. 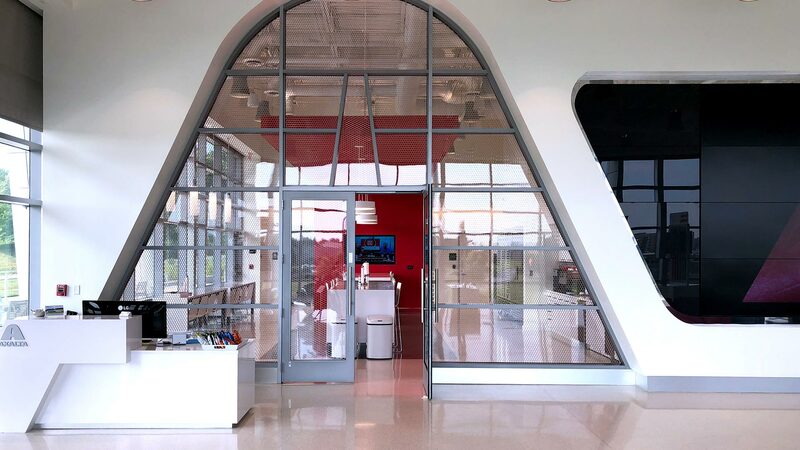 This facility houses the latest technology in customer training resources. 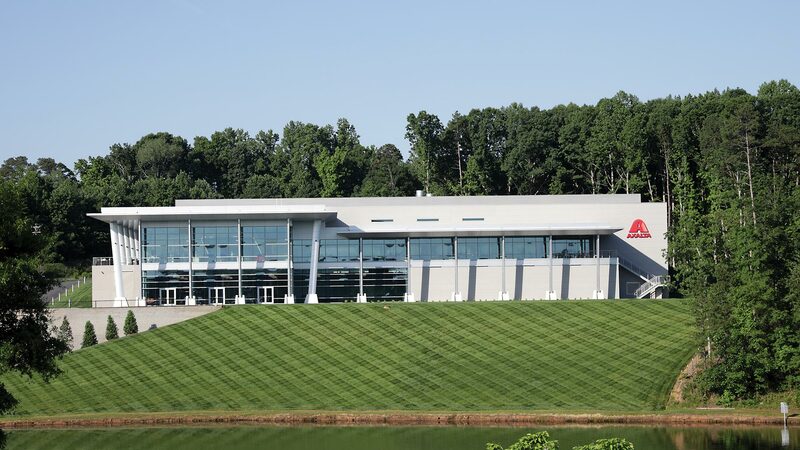 Situated on a hill overlooking a beautiful lake, views were maximized with uninterrupted glass protected by deep, dramatic overhangs. 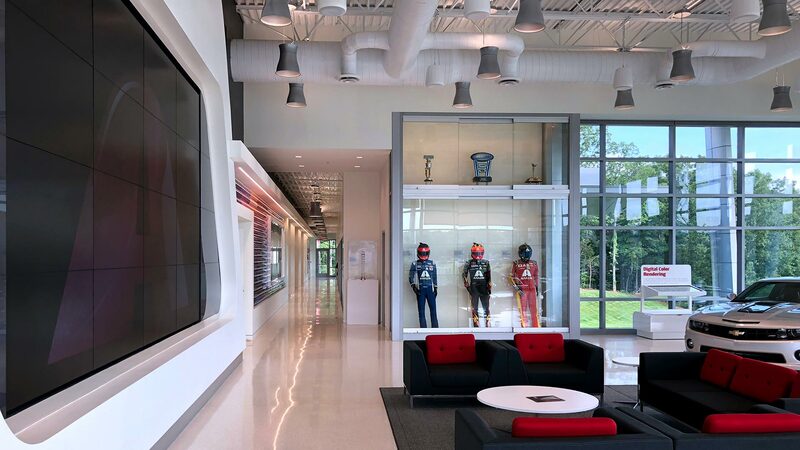 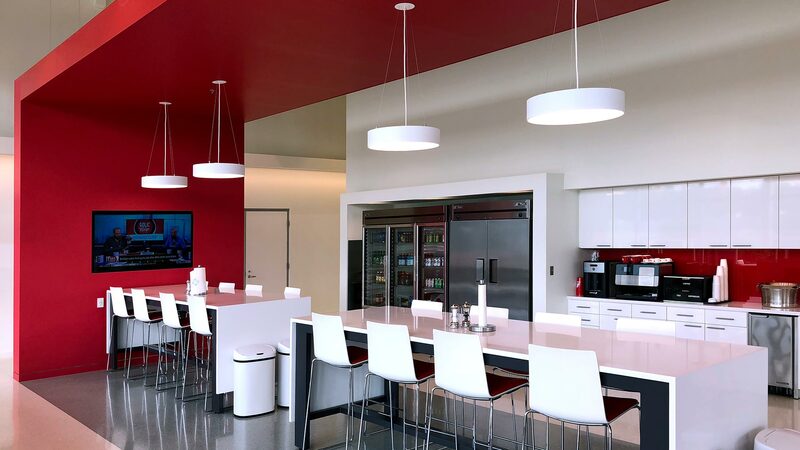 The interior houses a customer experience exhibit/showcase, multiple training rooms, offices, large break room and a beautiful Italian paint booth system. 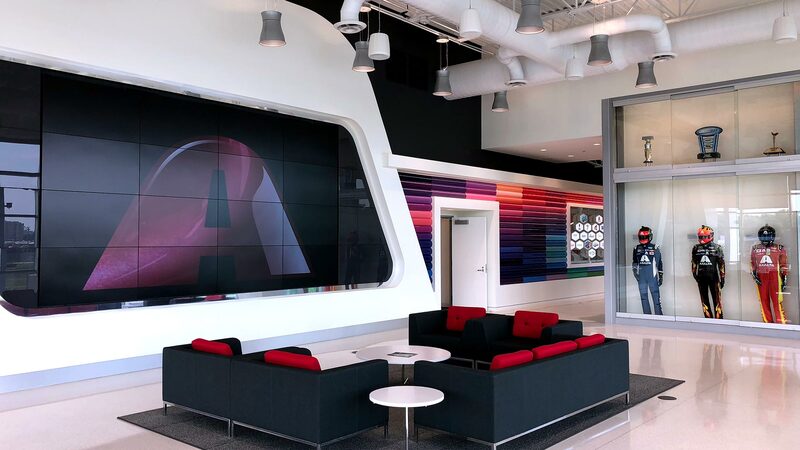 In the showcase, a large glass opening in the shape of the Axalta logo “A” sets up a long axial, spine-wall full of features including: a massive media wall, a painted metal wall with 100 Axalta colors, a glass exhibit case and a large branding experience piece that terminates at the group training rooms.